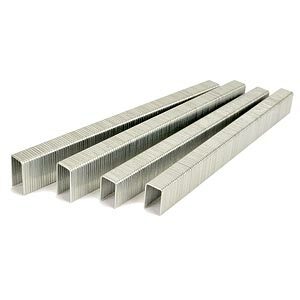 S50 Paslode type staples, 3/8" Crown, 20 Ga. Galvanized. Fasco brand, made in Europe. Interchangeable with Paslode S50 staples. Fits Paslode 1000 S-50; Fasco F1A S50-16, F1B S50-16 staplers.